We have an extensive selection of beans that are used by cultures all across the globe. 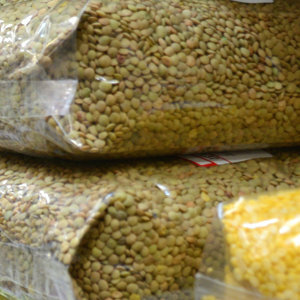 From the more common beans such as the White Kidney or the Yellow Split Pea, to the harder to find beans such as the Adzuki, and Macedonian White Bean. You will not have a lack of variety for any recipe that you desire to try. We have gradually expanded our grain and seed selection over our many years in business. We now offer various types of products such as Quinoa, Chia Seeds, Millet or Barley. From Ancient Grains to hearty staples, we have you covered! For over 40 years, our goal has been to provide different cultures across the world a little taste of home. 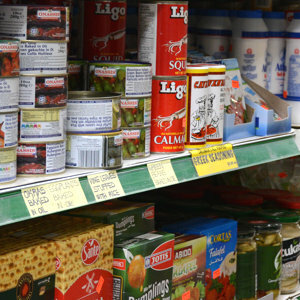 We initially carried South Asian grocery then gradually expanded into different cultures as our customers requested them. We are now proud to carry products from Eastern Europe, Southern Africa, Asia, as well as North and South America. Whether you wish to experience a different culture or want a little nostalgia, we trust that we have what you are looking for. Come in and try some items in our widespread bulk section. 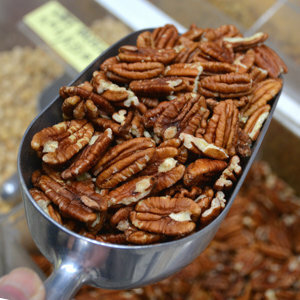 Nuts, seeds, dried fruits, and chocolates are just some of what we carry in our bulk. We deal directly with farms in California for our Walnuts and Almonds, ensuring that we have the freshest and best tasting product at an affordable price. We carry items that cater to your health such as the nutrient packed Brazil Nuts, and the fiber filled Prunes. We also have many types of baking chocolates, flours, and tasty treats for when we need a little self indulgence. Meats and Cheese! Our deli section will supply you with all the salami, sausages, and cheeses that you desire. We carry a wide array of smoked and dried meats, made with traditional recipes from Eastern Europe and beyond. Combine them with our extensive selection of cheese, and it will be a match made in heaven. 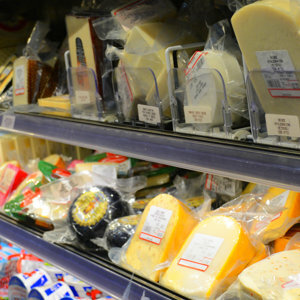 Check out our large cheese selection in the fridge, where you can find cheeses from different parts of the world, from Mozzarella, to the many Feta Cheeses, to Muenster and Cantenaar! You will have a Gouda time, browsing our cheese aisle. Come in and see our selection baking essentials. Bake a cake or a traditional recipe, with our extracts, different types of flour, starters, baking chocolates and much more! We also offer competitive wholesale pricing to bakeries, so please do give us a call!